One of the most basic DFM challenges is, how many PCB's fit on the manufacturing panel. PCB Designers around the world get more parts per panel and a lower part price with KwickFit. Using KwickFit early in the design process reveals how a PCB fits on the manufacturing panel. 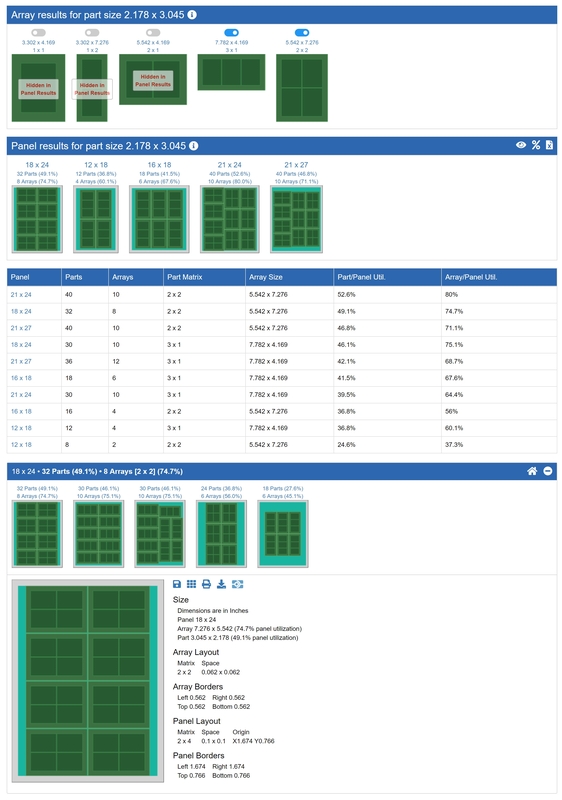 KwicKFit's panel layout engine makes light work of exploring what-if scenarios to optimize part per panel yield and reduce PCB manufacturing costs. More parts per panel equals a lower part price. Serving the PCB industry for more than twenty years, KwickFit is used by leading PCB designers and manufacturers around the world to optimize panel utilization. Discover the best PCB array design for any panel size and evaluate the part size for hidden optimizations that increase part per panel yield and lead to even lower PCB manufacturing costs. KwickFit runs in the cloud so it's available on your PC, tablet and mobile device, anytime, anywhere and you're always on the latest version.